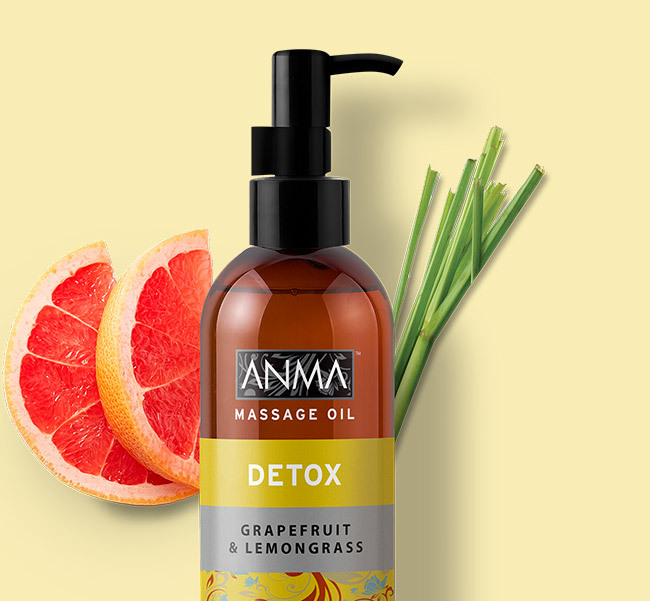 ANMA Grapefruit & Lemongrass DETOX Massage Oil helps detoxify and promote the body’s natural elimination of toxins, leaving the skin smooth and supple. This beautifully scented massage oil is infused with purifying Grapefruit Oil and refreshing Lemongrass Oil. 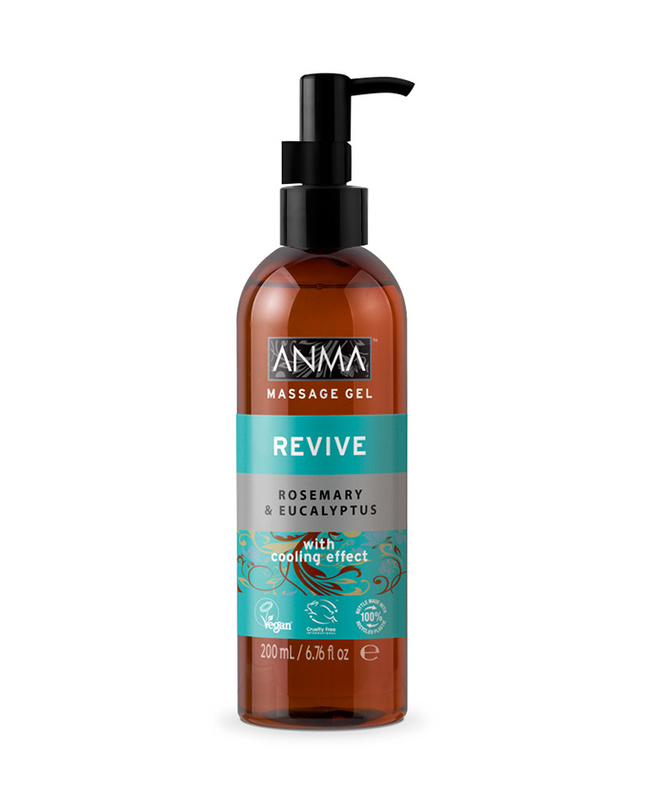 Apply and gently massage until fully absorbed. Use as often as required. Free from Parabens, Phosphates, Dyes, Silicones, Gluten, Phthalates and Mineral Oil. CAPRYLIC/CAPRIC GLYCERIDES, PRUNUS AMYGDALUS DULCIS (SWEET ALMOND) OIL, BENZYL BENZOATE, PARFUM/FRAGRANCE, HELIANTHUS ANNUUS (SUNFLOWER) SEED OIL, TOCOPHEROL, LIMONENE, HEXYL CINNAMAL, HYDROXYCITRONELLAL, LINALOOL, CITRUS PARADISI (GRAPEFRUIT) PEEL OIL, CYMBOPOGON SCHOENANTHUS (LEMONGRASS) OIL, CITRAL, ALPHA-ISOMETHYL IONONE, GERANIOL. Sign up to our mailing list for news, quiz & competitions. 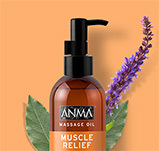 ANMA Massage Oils are specially formulated with natural oil extracts to keep the body and mind calm, relaxed or energised, leaving the skin silky soft. Copyright ANMA™ 2018. All Rights Reserved.